For over a century, photography has had a profound impact on our perception of the body. Photographers create mythical beauties. Widely distributed and exhibited, the body photographed for advertising purposes or fashion magazines tends to set itself up as the norm. 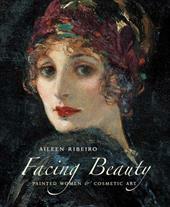 Even in the twenty-first century, it is still appropriate to think about the creation of a new image of beauty. Must beautiful women be necessarily young, energetic and forward looking? Are Western criteria for beauty comparable to Asian beauty? Or does our view of what constitutes beauty vary according to where we live? The works presented in this volume open a discussion to the challenges facing fashion imagery in an international context. A workshop was organized for students of three major photography schools, across three continents–Asia, Europe and America–in which they were asked to exchange views on the current challenges facing the world of beauty photography. Sixty students from Kyungil University in Daegu, Korea, ECAL in Lausanne, Switzerland, and the School of Visual Arts in New York, came up with a variety of proposals. Beauty Work represents the lab spirit of the workshop and features a range of approaches to today”s photography.